The most famous couple of Tollywood, Ram Charan and Upasana Kamineni complete five years of marriage bliss today. A happy Upasana took to Twitter and thanked all the fans and well-wishers for supporting them all through these years. 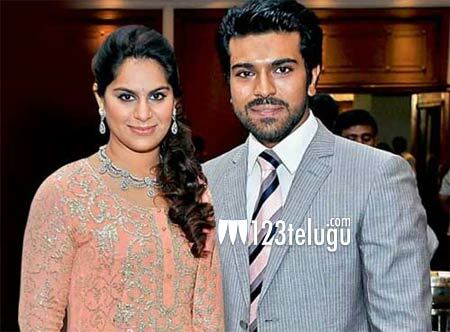 Ram Charan married Upasana who belongs to the Kamineni family who manages the Appollo Hospitals. The couple was in a relationship for about a year and finally got engaged and tied the knot in a star-studded marriage ceremony. Upasana is a working woman and is quite active on the social media and always reveals snippets from her personal life. Well, 123telugu wishes Upasana and Charan a very happy anniversary and best of luck for their future.